BBC has placements with their sports and news teams in Salford, the London newsroom and in Scotland, Wales and Northern Ireland. We also have positions with local radio stations across England. They are in Bradford, West Yorkshire; Wolverhampton, Sunderland, Blackburn, Leicester, Portsmouth, Taunton, Northampton, Bristol and Cambridge. If you’ve got what it takes to tell a story and reach people who don’t normally consume the news, then we want to hear from you. You will be studying for a Level 3 Apprenticeship in journalism designed by the National Council for the Training of Journalists (NCTJ). 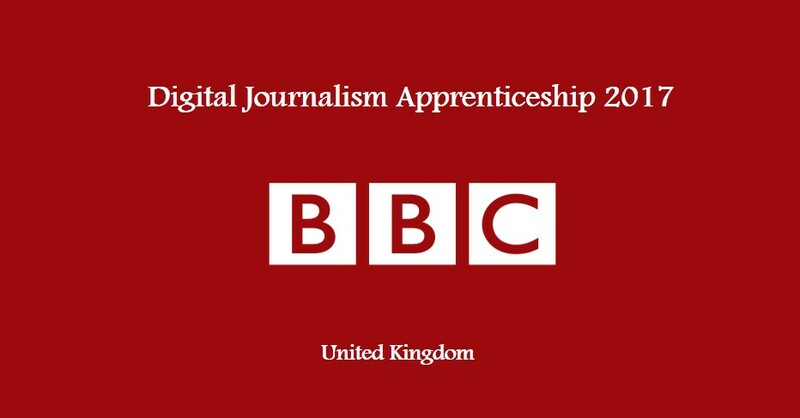 The BBC Digital Journalist Digital Apprenticeship is a 22 month placement starting in September 2017 and completing in July 2019. Apprentices combine classroom-based study, learning on-the-job and working towards exams in Media Law, Public Affairs, Broadcast Journalism and News Reporting. - You’ll learn how to create great content and programmes for TV, Radio, Digital, Online and social media. - You’ll train and work with BBC editors and staff. - You’ll write, record, create and reach out to our audiences. Digital Journalist Apprentices will be placed with BBC news teams around the United Kingdom. They will work and train alongside experienced BBC journalists and after sufficient training they will be given the opportunity to make a real contribution to our news output. - You are creative, intelligent, determined and resilient. - You are quick to react, an enthusiast for all things digital and you are already using social media to communicate. - You know how to connect with your local community and share their stories and experiences with a wider BBC audience. Application deadline: 18 April 2017. Visit the official link here.